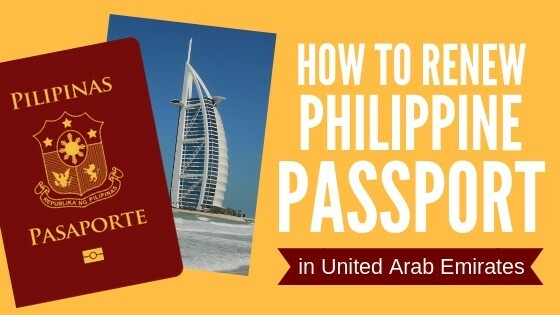 This concise guide will walk you through the process of renewing Philippine passport in UAE or United Arab Emirates which includes Abu Dhabi, Dubai, and the Northern Emirates. Philippine passport renewal requirements in the UAE. Where to renew Philippine passport in UAE. 1. Philippine Embassy in Abu Dhabi. 2. Philippine Consulate in Dubai. How to Renew Philippine Passport in Dubai or Abu Dhabi in UAE: 7 Steps. 1. Schedule an online appointment. 2. Go to the Embassy/Consulate on your scheduled appointment. 3. Submit the Philippine passport renewal requirements. 4. Pay the passport renewal fee. 5. Have your photo and biometrics captured. 6. Check the availability of your passport. 7. Claim your new Philippine passport. Printed email confirmation of online appointment with a QR code. Photocopy of passport data page (one copy for application in Abu Dhabi / two copies for application in Dubai). Passport appointment: 8 a.m. to 3:30 p.m.
Passport releasing: 8 a.m. to 12 p.m. | 1 p.m. to 5 p.m. The Consulate in Dubai holds special consular missions for Filipinos living in the Northern Emirates. For schedules and updates, check the Announcements and Notices page of the Consulate’s website. 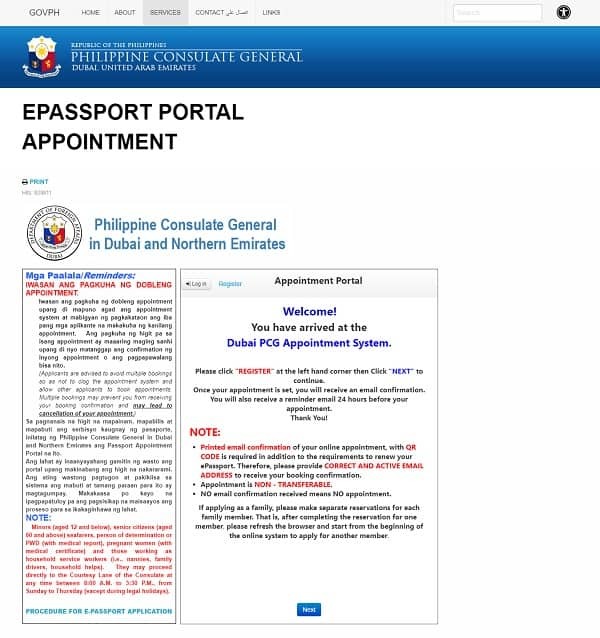 Visit the passport appointment portal of the Embassy in Abu Dhabi or Consulate in Dubai. First-time users need to register first for an account by entering their email address. The Consulate in Dubai gives priority to emergency cases such as a death in the family. If you need to renew your passport immediately to travel to the Philippines, get an appointment for urgent passport renewal on the Consulate’s website. You must also submit proof of travel urgency and cancel any booking made through the regular appointment system. Once your appointment is booked, check your email for a confirmation notice. You’ll also get an email reminder 24 hours before your scheduled appointment. You can’t renew your Philippine passport in UAE without a confirmed appointment, as walk-in applications aren’t accepted. Tip: Avoid fixers that sell appointment slots. Getting an appointment for passport renewal is free of charge. Although it’s easier to secure an appointment when you buy a slot from a fixer, this practice is illegal in UAE. 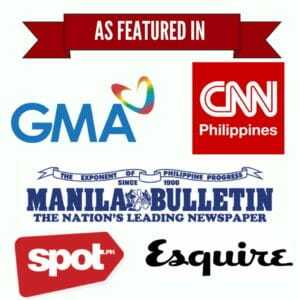 Report any fixer to the Philippine Embassy or Consulate. Arrive at the Philippine Embassy or Consulate at least 15 minutes before your appointment time. If you’re applying in Abu Dhabi, get a queue number at the Information Counter. If you’re applying in Dubai, no need to get a queue number. Just go directly to the Passport Processing Area. Abu Dhabi: When your number is called, hand over your requirements. The processor will check if your form and documents are complete. Dubai: Drop your current passport into the box with a label showing your appointment time. Wait for your name to be called. When it’s your turn, submit your documents. The processor will check if they’re complete. Proceed to the cashier to pay the Philippine passport renewal fee of AED 240. Go to the encoding area for your photo and biometrics data capturing. Wait for eight to 12 weeks before claiming your new passport. To know when you can pick it up, check the website of the Embassy in Abu Dhabi or Consulate in Dubai for the list of available passports for release. If your passport is still not available after over six weeks, you may follow up by sending an email to passport.releasing@pcgdubai.ae (for applications in Dubai only). If you find your name on the list, write down on your receipt the reference number located next to your name. Go to the Passport Releasing Section. Put your claim stub on the tray or box. Wait for your name to be called. Present your old passport and official receipt. Dubai: Go to the Mabini Hall C, C3 Releasing Section and present your old passport and official receipt. If you can’t personally claim your passport, you may assign someone to do it for you. Your authorized representative must present your authorization letter, your old passport and official receipt, and his or her valid ID. Note that in the Embassy in Abu Dhabi, only an immediate family member (parent, sibling, spouse, or child) is allowed to claim your passport.